Hey, there had to be a bright side to all that rain! The Powers That Be have opened the gates above the Gaspereau River, raising the water levels in the river. Tubing is on again, which is rather unusual for August. Carpe diem. We seized the day. 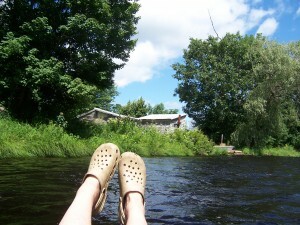 The water was higher than usual, and faster, which made for a more adventuresome experience. I’m glad I didn’t try taking my camera on our second run downriver. 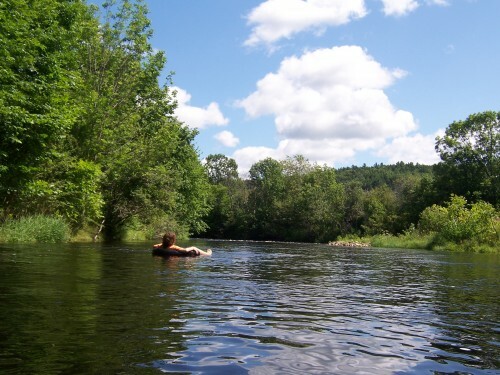 You can find Gaspereau River tubing on Facebook. Someone is keeping it up to date with current water levels. I’ve just uploaded new photos to the Lakes and Forests, Blue Rocks and Stonehurst, Mahone Bay, and Lunenburg galleries. Hope you enjoy them. 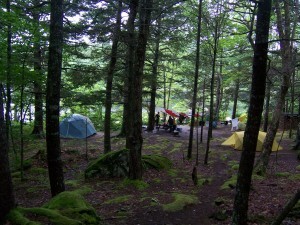 It was raining as we set up our tents on Big Muise Island in Kejimkujik Lake. Three days later, I had to bail rainwater out of the canoe as we paddled back to Jake’s Landing from Site 13 on Ritchie Island. In between, however, we had a couple of very pleasant days enjoying the warm water of the lake, the quiet forested islands, the wildlife – even the loud, musical bullfrogs that kept us awake at night – and, of course, our own good company and food. 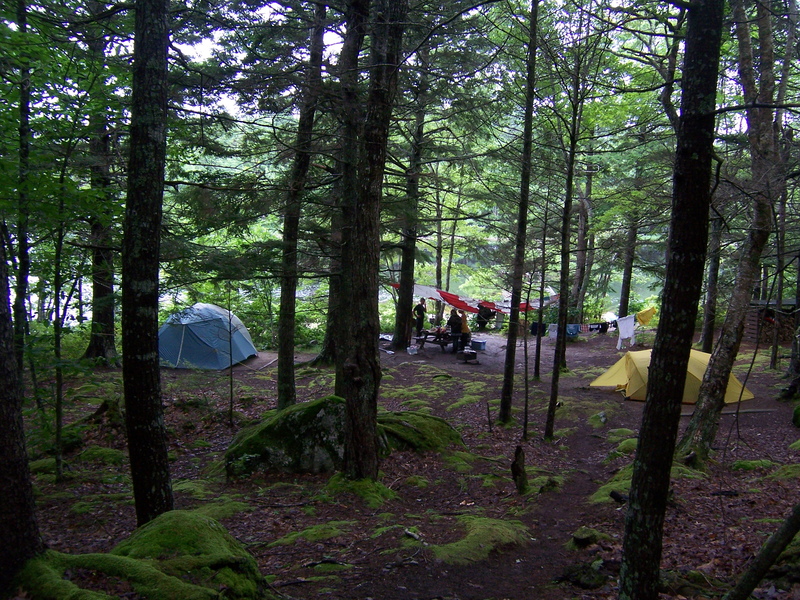 Backcountry campsites can be booked 60 days in advance. For peak summer season, you really have to book that far ahead. So when the day comes, you go, rain or shine! 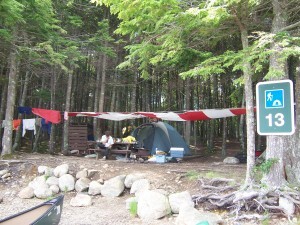 Site 13, Kejimkujik National Park. Here is the Keji Park official site. It does not give a lot of detailed information. The next link is better. Friends of Keji have a more informative and useful website. Cartographer and photographer Paul Illsley has the best satellite map of Keji available with individual backcountry sites marked, and very fine photos of the park. 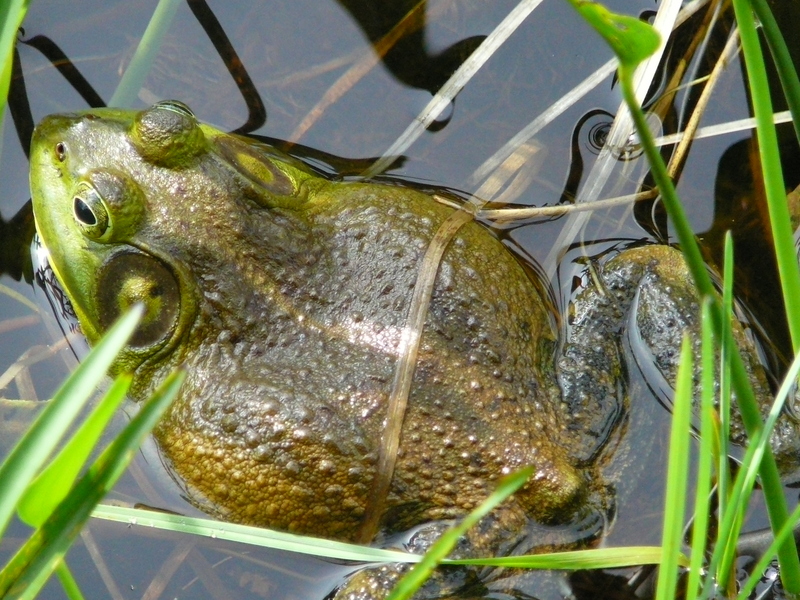 A very loud bullfrog. Heike Ortscheid photo. Finally, here you can download a Google Earth kmz file that will show the backcountry campsites on Google Earth. Very cool. This cannot be a good survival strategy. Snapping turtles lay eggs in June and July uphill from a water source. This snapper has found some gravel right by the side of the road, a foot or two from the pavement. The water source, as you can see in the picture, is a human-excavated pond some distance away. 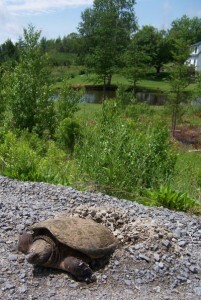 I wonder if this snapping turtle has tuned into her ancestral memory. Perhaps, before the road was developed, her mother laid her eggs in a sandy bank here, and when my friend emerged from the egg, she scampered and tumbled down the hill to the embracing water in a natural stream or that once flowed quietly just below this very spot. Now she is laying her eggs in gravel that has been brought in to elevate and level out the road. If the eggs don’t dry out in the gravel and hot sun, or get squashed by a truck parking on top of them, her hatchlings will have to reach the artificial pond in the distance in order to survive and thrive. Trying circumstances, it seems to me, and not unsimilar to those facing many young members of a much more recent species on this planet, homo sapiens. 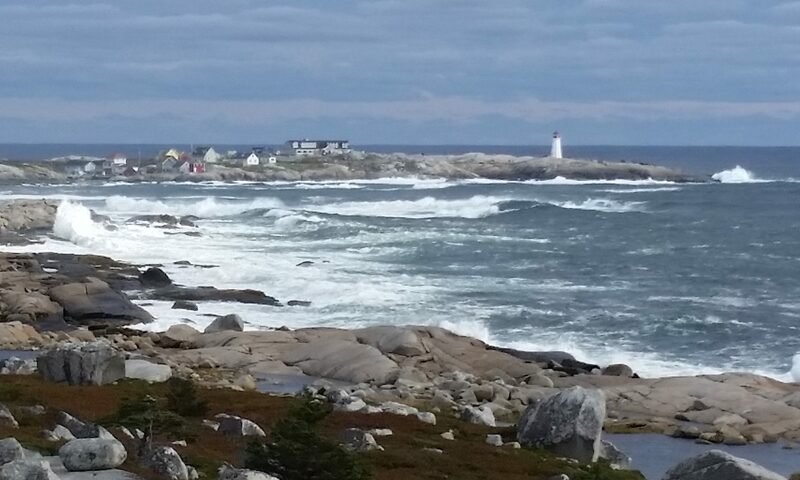 Nova Scotia has so many beautiful lakes. Some of them are lined with cottages. In Cape Breton family cottages are called “bungalows”. Other lakes are in wilderness areas and may hide traditional camping spots known to a few fishermen, hunters and back-country campers. I camped out last weekend next to the cottage of friends on Lake George, on the South Mountain near Aylesford, in the Annapolis Valley. We swam and kayaked and wished we had a little sailboat there because it was windy. We hung out and talked and read books and ate. When it was cold we lit a fire. We grabbed the last bit of summer. That’s what cottages are about. J.D. Irving Ltd. is selling off vast holdings of land in southwestern Nova Scotia that it has been logging. “Professional forestry management” is what they’ve been doing there, and apparently it’s not worthwhile for them to continue. 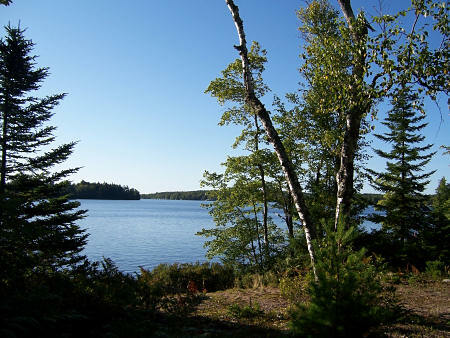 The lands include whole lakes and lake systems, rivers, watersheds and huge tracts of forest land. 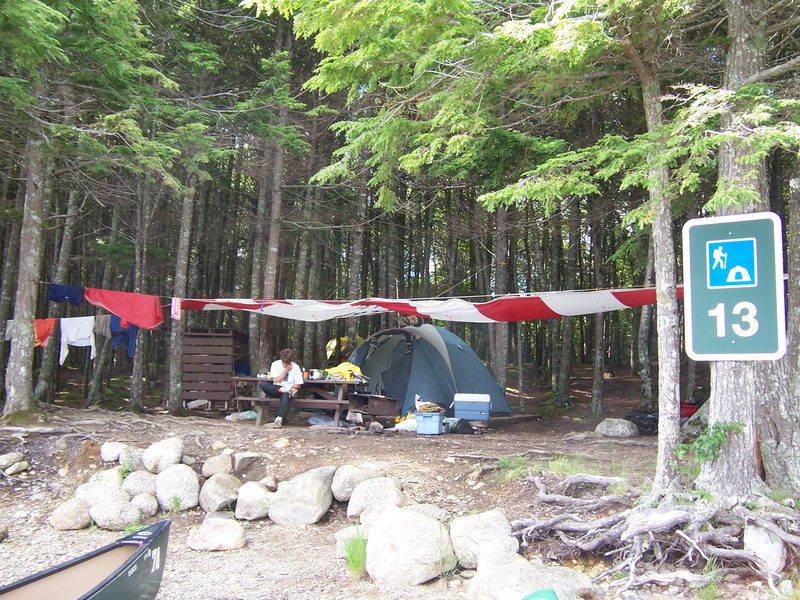 It’s near Kejimkujik National Park and the Tobiatic Wilderness Area, where you can canoe and portage from lake to lake, meeting only a few fishermen along the way. It’s another world back there, and it’s all to easy to ignore what’s going on there. 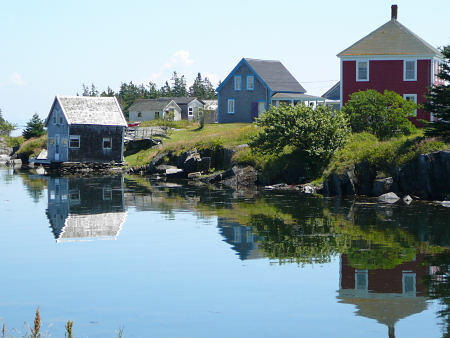 “Buy Back Nova Scotia” is a group that aims to save the 170,000 acres of land that’s up for sale and prevent them from falling into private hands and being hidden behind No Trespassing signs. Here’s the map (right) showing the lands concerned. Below, there’s a Google Map of the area south of Digby and the Bear River Reserve. See the long, straight, engineered logging roads built for the sole purpose of getting the logs out, as well as the clearcuts. Use the + button to zoom in further, and you will get to more detailed aerial photos showing the effects of logging. On the Buy Back Nova Scotia site you can get more information, sign a petition, and mroe. And here’s the link to the property listing with an American company – aimed, obviously, at foreign buyers.